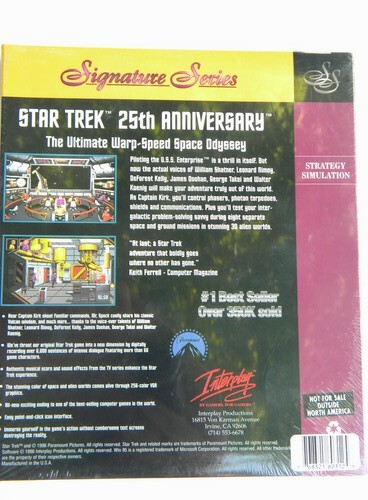 Star Trek 25th Anniversary Signature Series strategy simulation PC game. 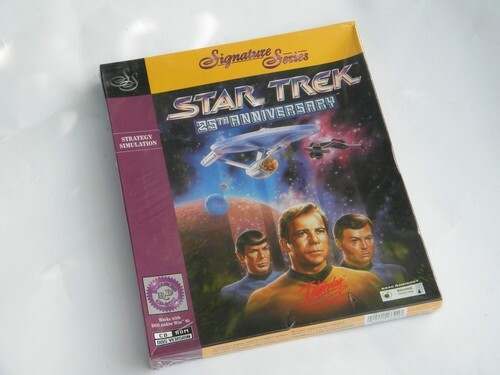 This is the enhanced version of the game with the voices of the original Star Trek cast. This software is still factory sealed in the original shrink wrap. It is published by Interplay. 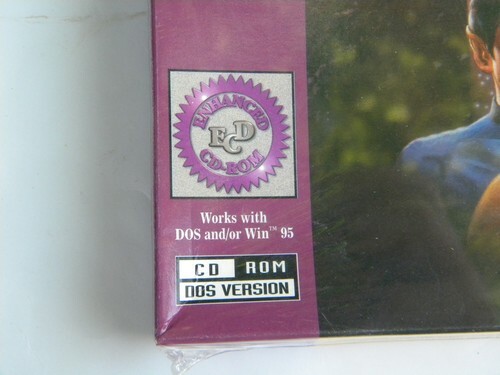 It is marked as DOS / Win 95 and CD-ROM.